*Marjoram, Thyme, Rosemary, Savory, Sage, Oregano, Basil. My Husband is the meatball “King.” It is his recipe and we take turns making them and when one does the meatballs, the other takes over with the sauce. We both do the tasting. It’s lucky if we have any left to put in the sauce. I sometimes put a ½ pound of hot Italian sausage in the mixture, which adds more flavor and it’s spicier. Both are excellent. Mix all ingredients together using your hands. 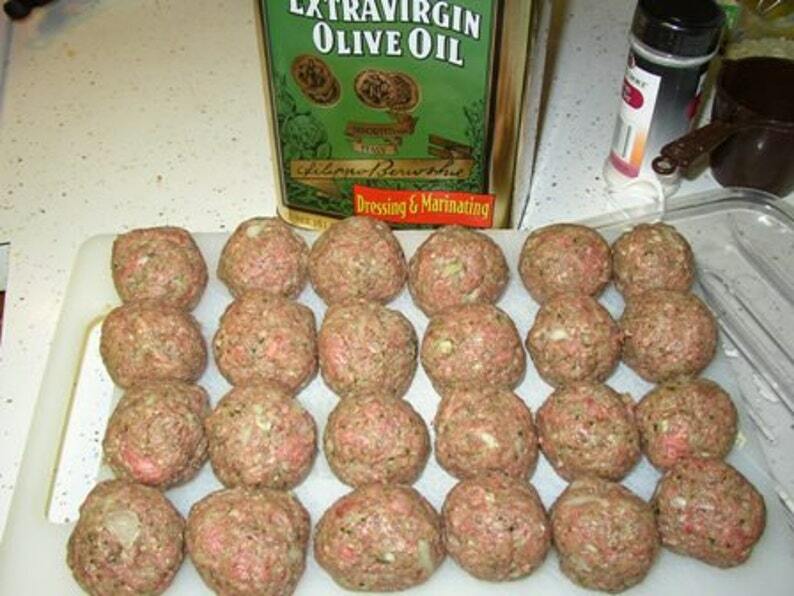 Roll mixture into 1 ½-2 inch balls. Add oil to skillet and fry meat balls turning frequently for about 20 minutes. If you add the sausage, you may need to add more breadcrumbs. Add to sauce along with some of the grease and simmer. This will give great flavor to the sauce and helps thicken it. This Italian blend is my go-to seasoning to use for just about everything. Love it!